My first most memorable year was 1981. Perhaps because my brother, who turns 30 this week, was born that year, and I was old enough to truly appreciate it all. Perhaps because I spent the first half of that summer, as a result of my little brother's arrival, in Salt Lake City where he was born. It was the summer I was on swim team and listened to Human League endlessly. I also remember that year clearly because I spent the second half of the summer touring London and I witnessed the wedding of the decade, that of Diana and Charles, on the telly while I was there. 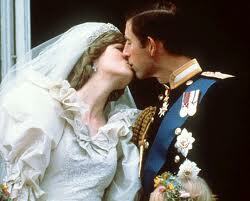 The wedding, together with its Diana-mania, remain crystal clear in my memory. Months later, I cut my hair short for the first time and requested a Diana haircut. I was eleven. Childhood memories overrule any desire to retain academic credibility. I am commenting on royal weddings despite the fact that I also read Franzen and Pamuk. Royal weddings are on the top of my list of must see TV, together with 8pm French news, Federer tennis matches, French soccer, French swimming competitions and Gossip Girl. I have already writen about the William and Kate wedding in May. For that occasion, I cancelled all activities and we went to celebrate in front of my parents' large TV screen. I enjoyed the English pageantry and admired the new princess' poise and elegant dress. William, in military red, reminded me of his mother. I certainly didn't expect that wedding to be outdone by Albert and Charlene's wedding in Monaco! The Monaco wedding this July was magnificient. Since Albert was a sovereign prince, he had invited all the royalty. All the crown heads appeared in a beautiful outdoor wedding, in a palace I had visited many times as a tourist. A friend of mine thought that the feel was "too white" and "heavenly", making it "cheesy". Indeed, Prince Albert, now in his fifties, was also wearing white. His athletic, graceful bride wore a gown designed by Giorgio Armani. It may not have been romantic and lacy like her mother-in-laws had been, or as Princess Catherine's was, but it was the finest in its style and suited the mermaid-like bride. What impressed me most, and kudos to Prince Albert, was the beautiful music that we listened to throughout the long ceremony. Andrea Bocelli sang Ave Maria. The Monaco Philharmonic Orchestra was also superb. In that respect, the Monegasque couple did outdo the British. I put my kids through 3 long hours of live ceremony. They watched the couple drive through the Monaco streets to reach another chapel where they were received by less VIP guests and where a Monegasque duet made up of a mother and daughter sang an endearing song which made the bride cry. All the while, I informed my BBm buddies that the wedding was happening, pushing them to log on the internet because very few channels around the world broadcasted it the way the French did. Some friend brushed it off, saying it would be too boring. A few others complied. Those that did tune in, were as impressed as I was. 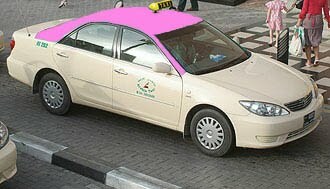 A message even came from a gentleman who couldn't resist admiring "the beauty of Charlene". 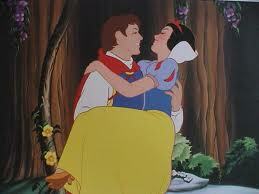 Who doesn't swoon over a modern day fairy tales! Truly it was an impeccable wedding made at the 2sq.km half the size of Central Park Princpality.Watching the daily preparation in the reasphalted narrow streets and the flag festooned alleys of the Rock,made it impossible to believe that all will be ready in time for the big event. The small state is well prepared for all types of hospitality whether it is the Grand Prix,the Yacht Show or tens of events held annually in Monaco.But this year,they outdid themselves with perfectly tuned festivities that ended up with light and sound,4 tons of fireworks show and a Alain Ducasse dinner for 500 VIPs prepared from the organic farm of Prince Albert.